This was a good hard day’s walk. I’m becoming more conscious of the time it actually takes me to get here before I even start walking. It was a good 6 hour drive from Crieff on the Sunday and it was about 10 when I got to Bettyhill where I parked by the bridge at the bottom of the hill. 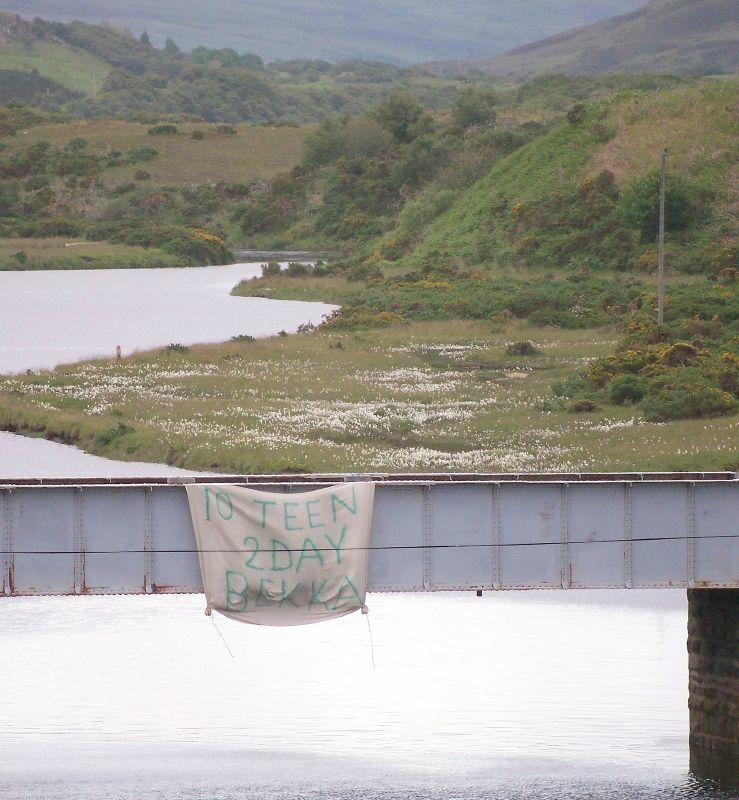 Next day I set off, the weather was looking good for walking and I headed over the bridge where someone had placed a big happy birthday sign over the parapet of the bridge. Because the population up here is so sparse I imagine everyone knows exactly who everyone is. I walked around the river and it was good to be walking on a beach again and off the road. The walk around to the small headland to Torrisdale was great and those big rollers kept battering the shore as if they were desperate to get after Neal Kinnock for a second time. There seems to be a lot of plant spotters around these here parts. Ive seen a couple crouching down photographing lichens and scribbling latin things in their plant jotters. 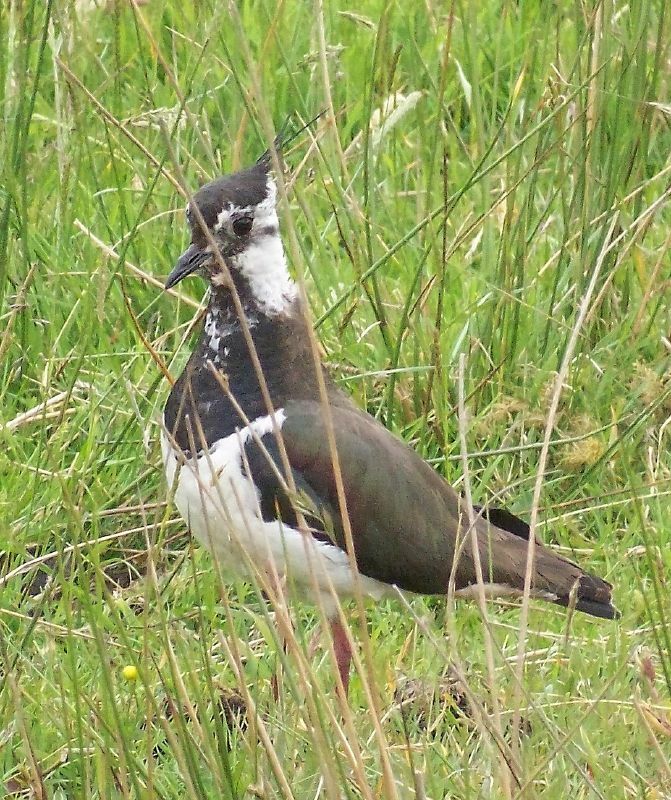 I was half tempted to ask ooe of them if they knew the name of an obvious bird like a lapwing, just to hear them say, “sorry mate, ah only dae plants”. However I didnt which led to an internal debate on motivation which passed an hour or so. Heading further north, towards Midfield I came across a museum which was a renovated croft that had the traditional black house look to it. 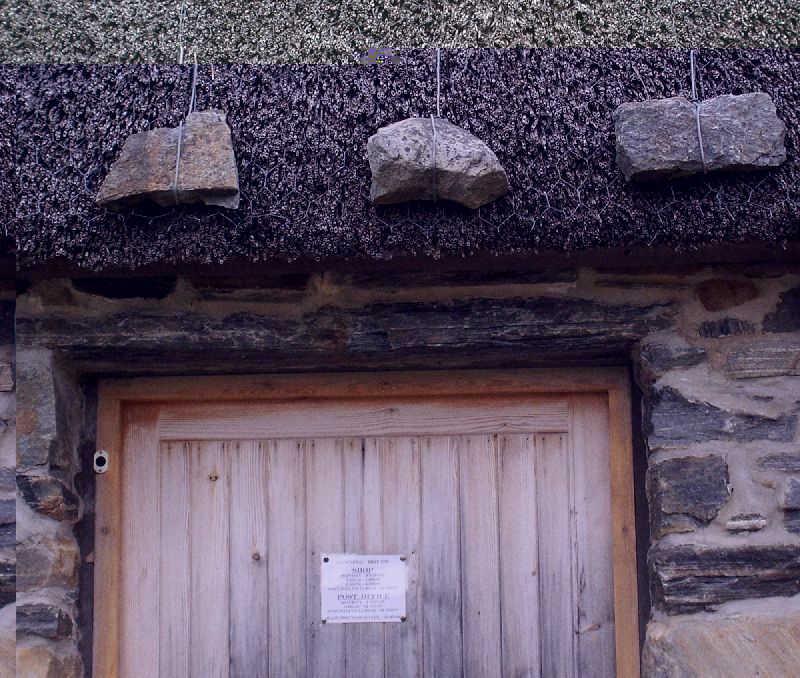 It had the “big-stones-attached-to-string to stop the wind blowing away the roof” contraption on it too. I wasnt sure if that was the normal way they built crofts here, the only other blackhouse I’d seen was on Lewis. So if anyone can shed light on this mystery, shed away. Now those of you who are sitting on yer chaise longue with a wee malt in yer paw poring at the map and saying to yourself -“that boy’s a pure chancer- he has missed a big chunk out cos he hasnt hirpled ower the heather at this particular point or other” can calm down a wee minute. I’m no clambering through huge grown up bushes, ferns and wading through peat bogs just because there is a bit on the map that sticks out without any roads or faint paths. You have a go if you think you’re hard enough. So I came back south along the road, revelling in my woosiness. Next stop was Coldbackie, where I skirted the big hill at the back of Tongue and plunged down the hill to see one of the loveliest beaches so far. I dont care what anyone says about Scotland, it may have its problems politically, economically, socially and every other -illy but when it comes to scenery wha’s like it? Judge for yourself or better still go there and have a swatch yersel. The descent down into Tongue and onto the casusway was also a delight. I suddenly felt that I had arrived in the western Highlands at last. Ben Loyal and Ben Hope were before me and all was well in my world. This entry was posted on Monday, June 18th, 2007 at 11:33 pm and is filed under Scotland. You can follow any responses to this entry through the RSS 2.0 feed. You can leave a response, or trackback from your own site.